If you'd like to offer your guests delicious, freshly blended drinks bursting with healthy vitamins and antioxidants then look no further than our ice cold smoothies. Not only are they a great way for everyone to easily get some much needed quick nutrition and hydration at an event - the taste is unparalleled. 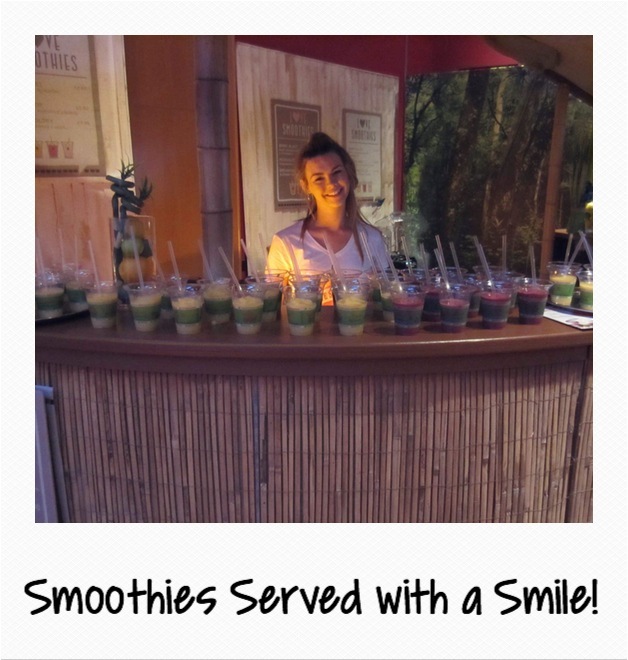 We provide staffed pop up smoothie bars using commercial equipment and the finest ingredients to deliver perfect freshly blended, smoothies. You simply give us a space to work from such as a table, worktop or bar with power and we provide the rest. Prior to the event, we will work with you to develop your menu as well as determine the size and volume of smoothies so you have a solution tailored specifically to your event. We ensure the right taste combinations and the correct number of drinks so unnecessary waste is avoided. For a quote please call 0203 375 6208, email info@lovesmoothiebike.co.uk or request our brochure and prices.